Today we are kicking off our first installment of a monthly Top Ten List. March’s list is a compilation of Roger’s favorite design books. 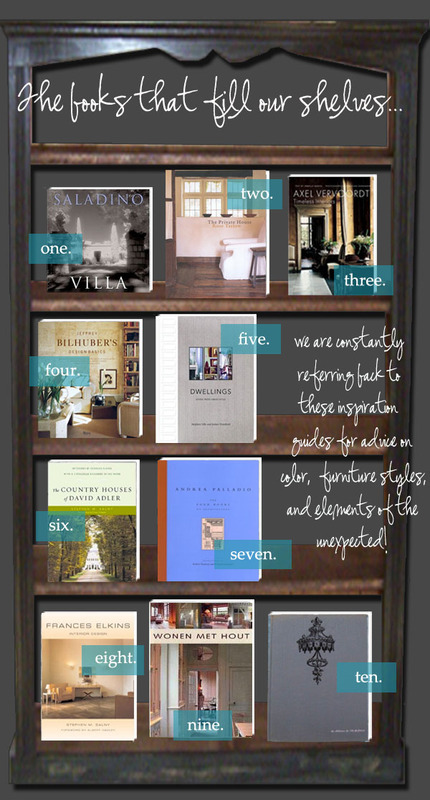 He looks to these staples in his library time and time again to find inspiration and strengthen his knowledge of all things interior design-related. A collection of books, like those listed below, are essential for understanding the art of design.